This is the opening section of The Paris Declaration (French), a document co-signed in 2003 by prosecutors, investigative judges and public NGOs from different countries. Among its first signatories were Bernard Bertossa (the Prosecutor of Geneva, Switzerland), Baltasar Garzón (investigative judge, Spain), Francesco Saverio Borelli (the Prosecutor of Milan, Italy), and such organizations as the African Network of Parliamentarians, Global Witness, Sherpa, Survie, Transparency International and others. Hold all international money transfer systems to an obligation to provide full disclosure of financial flows, including the identification of beneficiaries and the originators of financial operations, to enable law enforcement institutions to trace suspicious operations in case of a criminal investigation. Introduce a new article in the criminal code: “Corruption on an Especially Large Scale” imposing the same penal measure as that for offence against the fundamental interests of the nation. Fifteen years later, this document is strikingly relevant. Transborder corruption has reached its heyday, greatly eased by difficulties in its legal prosecution. According to the principles of the state of law, the proof of an offence must be received from both sides of the border. In the case of post-Soviet states, European judiciaries face insurmountable obstructions. On October 3, 2017, the Expert Group on Fighting Transborder Corruption of the EU-Russia Civic Forum held a roundtable discussion in Sofia “Perspectives for Collaboration between Law Enforcement Institutions and Civic Investigation Groups for Fighting Transborder Corruption”, with the participation of investigating prosecutors from Italy, Spain and Ukraine, an ex-investigator from Russia, Bulgarian, French and Russian journalists and anti-corruption activists. The idea of this discussion appeared when the Expert group was preparing the collection of articles “Failed in Action: why European Law Enforcers are Unable to Tackle EU-Russian Transborder Corruption” (February 2017). The authors of this collection point out two problems. Firstly, even if cases of transborder corruption are investigated, they are not necessarily brought to court and do not always end with conviction. The public and the press, especially in states under the rule of law, are not aware of the difficulties of conducting transborder investigations. They simply complain that yet another investigation has failed and no criminal cases have been filed. “There were talks of corruption during the Sochi Olympics, but no one has been convicted”, Swiss television reported in 2014. At the same time, the activities of an Austrian company in Sochi, co-owned by a Russian oligarch under prosecution in Spain for alleged money laundering, were accompanied by human rights violations. Possibly in order to free up funds to pay cuts to officials, the company massively employed migrants for the construction of 5-star hotels. When the construction was completed, the illegal workers were expelled from Russia without payment. Anti-corruption activist Alexei Navalny made a map of alleged corruption in Sochi. However, in spite of reports filed by civil activists, no one has been convicted by a Russian court or any other one. In Europe, several investigations and court proceedings had to be closed, in particular, due to the lack of legal assistance from some non-democratic countries with high levels of corruption. One way of fighting such absent responses is through evidence-collection by members of the public (journalists, investigators, etc.) and its submission to law enforcement authorities in the countries where the investigations are conducted. For instance, in the case of money laundering by Prevezon Holdings ltd (the Magnitsky case) a US court agreed to accept copies of documents found by the lawyer as documentary evidence, after Russia had failed to respond to a letter rogatory. However, such success stories are rare in Europe. Konstantin Rubakhin, a member of our Expert Group, relates the story of his fruitless attempts to interest the public prosecutor’s offices of several European countries in information of alleged money laundering by a Russian oligarch. In most cases he received no response1“Failed in Action: why European Law Enforcers are Unable to Tackle EU-Russian Transborder Corruption” P. 36.. Even if an inquiry is initiated, it takes years, so journalists and activists have almost no chance of evaluating its effectiveness. Our group asked the ex-Public Prosecutor of Geneva Bernard Bertossa, one of the signatories of the Paris Declaration, for his commentary. Prosecutor Bertossa said,2Interview in Geneva, 09.29.2017. “At present, responding to international letters rogatory is an act of goodwill on the part of the law enforcement institutions of the country receiving such a letter”. Prosecutors’ priority is their domestic affairs, and they are not obliged to respond to letters rogatory from other countries. “Issuing a court sentence without evidence sent by the country in whose territory the predicate offence was committed would mean breaching the principle of the rule of law”, Mr. Bertossa said. Could this be a misapplication of the principle of the rule of law? For sixteen years (until 2001), Luigi de Ficchy, Public Prosecutor of Perugia (Italy), served as a prosecutor in the Anti-Mafia Investigation Directorate in Rome, in the Department of the New Mafia, i.e. crime that had started to arrive in Europe from the former USSR in the late 1980s. Mr. De Ficchy witnessed the transformations undergone by criminal groups from the former USSR who came to settle in Europe in the late 1990s and later obtained legal status. This was a new evil that Italians had to learn to fight, as mafia groups from the former USSR were very different from the Comorra and Ndrangheta, and constituted not a single organization but many small groups. According to de Ficchy, the first time he had to deal with the Russian Mafia was when a US law enforcement institution requested Italy to extradite Monya Elson and Iosif Roizis (Russian born US-based kingpins), suspects in the case of the Solntsevo organized crime group. As a result, according to Mr. de Ficchy, 19 people were arrested in Italy for membership in the organized crime groups, kidnapping and extortion. “This was the first large scale case of Russian organized crime in Italy investigated by the Central Department of the Antimafia Directorate. However, the bad news was that that the Italian judge cancelled the arrest order issued by the investigative judge (the judge in the preliminary investigation), as its content was “very similar” to the inquiry of Deputy Prosecutor of the Italian Republic”, he said. Then, in 2001, was the case that was nicknamed the Russiangate. The investigation was conducted in six countries against over a hundred suspects. This was part of a scandal associated with the laundering of 40 billion dollars. The money originated from both criminal organizations and foundations that had been illegally expropriated from the state by “representatives of Russian bureaucracy and KGB”. The money went through tax havens (the Caiman Islands, Nauru) and companies in Italy and in other countries. Later the funds turned up in accounts in large Western banks, including the Bank of New York (the bank had to pay a fine as a result). “Those were enormous money flows. The money was invested back to Russia after being laundered, so that its origin could not be traced”, Luigi de Ficchy explained. It was within this case that Alimjan Tokhtakhunov was arrested in Italy. In late 2009, prosecutor de Ficchy submitted a report to the Italian High Council of the Judiciary, warning his colleagues against underestimating the phenomenon of the Russian mafia, while “fighting terrorism occupied full attention of the press and eclipsed all political problems” (Italian). Mr.. de Ficchy explained in his report that, “considering Russian mafia’s proximity to the state authorities, some believe that too much attention to this phenomenon could put West Europe, which depends on Russia for energy supply, in a very awkward position”. This situation remains unchanged. “It is still difficult to obtain responses from East European countries, especially from Russia and Kazakhstan. We have to request information on persons connected with the authorities, or on oligarchs dealing on international scale, and it is hard to get any response”, de Ficchy said in his Sofia report. Luigi de Ficchy noted at the round table that investments of questionable provenance from Russia are pouring into most European countries, including Italy, where “dubious capital has been flowing in for ten years into the world of trade, tourism, real estate, hotels, production of clothing, farms”. Lombardy, Toscana, the surroundings of Venice, the Adriatic Shore, Sardinia are the most popular destinations for this money. The little enclave of San Marino, with 61 square kilometers per 33,000 inhabitants, is literally filled with Russians. According to the prosecutor, this calls for special attention, and it is one of the spheres where efficient exchange of information on Russian investors between different countries plays a crucial role. Spain’s Special Prosecutor’s Office against Corruption and Organized Crime performs a similar function to Italy’s Antimafia Directorate. Its representative, prosecutor Jose Grinda, was one of the speakers at the Sofia round table. The Special Prosecutor’s Office was set up in 1995. It reports to the Prosecutor General who, admittedly, approves all its investigation proposals. Positions in the Special Prosecutor’s Office are occupied via competitive examination. The Special Prosecutor’s Office against Corruption investigates high profile corruption affairs. “It is impossible to dig into all corruption cases. However, if we narrow our sphere of competence too much, this will lead to the inefficiency of the Prosecutor’s Office”, Mr. Grinda said. The Special Prosecutor’s office investigates such crimes as transnational bribes, abuse of authority, public funds embezzlement and money laundering. “We take up only high-impact cases upon the order of the Prosecutor General advised by Head of the Special Prosecutor’s Office against Corruption. We investigate cases across Spain. However, an important feature of our work is its international scale. In our work, we rely on cooperation”, Mr. Grinda said. One recent investigation launched by the Spanish Prosecutor’s Office against Corruption was the one on the case of Sergey Magnitsky. The team of investigators believe that part of the funds siphoned off from the Russian state budget through a fraudulent VAT refund scheme, uncovered by Magnitsky, were laundered in Spain. The corruption element in this case is the payment of kickbacks to Russian officials, and the particular significance of this case is based on its human rights dimension. When politicians find themselves in the spotlight of anticorruption investigations, they tend to claim that the prosecutors investigating their cases are ‘biased’. In Russia, the press has recently started to avoid the word ‘mobster’, or ‘member of the mafia’. Even persons included in INTERPOL’S red list on suspicion of money laundering are referred to as ‘sponsors’, or ‘businessmen’, as the latter like to call themselves. This is not surprising, according to Jose Grinda. “Gone are the times when criminal groups were involved only in illegal activities. Present day organized crime groups often have absolutely legitimate businesses. Nowadays, any company, even a state-owned one, may be used to launder money for a criminal group. Moreover, in an attempt to legitimize themselves, rich persons start to launder not just their money, but also their reputations. They start by building football fields, hospitals and gyms in their native towns. After that, they ensure their social legitimization on the national and international levels. They create charity funds that are used both for money laundering and cleaning up their record,” the Spanish prosecutor told us. Finally, reputations are laundered at the political level. “In the 1950s and 1960s the mafia underwent a second stage in its evolution and turned into a governmental organization. The government is a source of money. In the 1950s and 1960s mafia groups started to collaborate with politicians, in order to profit from public tenders through fraudulent methods. Their contacts with politicians serve three purposes: to corrupt them, to secure legislative preferences and, finally, to create a political party of their own. There is an opinion that if you are a member of an organized crime group in Russia, sooner or later you will run for election for Mr. Zhirinovsky’s LDPR party”, Mr. Grinda said at the round table. In his opinion, the legislative and political legitimization of kleptocrats (the third stage of reputation laundering) is very dangerous, as it entitles them to pass laws for their own benefit. Another speaker at the round table in Sofia was Vitaly Kravets, Prosecutor of the Specialized Anticorruption Prosecutor’s Office (SAP) of Ukraine. This department was launched in 2015 under pressure from the EU. This is a structural unit of the Ukrainian General Prosecutor’s Office, but it enjoys autonomy in its investigations. Prosecutors have to pass a competitive examination in order to obtain a position in this unit. The appointment commission includes members of the public. At the moment, the SAP is preparing to bring the case of Deputy Nikolai Martynenko before court. The investigators believe that he established a number of shell companies to extort bribes from the Czech company Skoda and created a scheme with an Austrian factor company, which received about 30 million dollars for supplying nuclear fuel from Kazakhstan to a Ukrainian state-owned company (Russian). The Ukrainian prosecutor said that setting up cooperation with foreign colleagues took around six months. During this period, they sent an international letter rogatory in a form that was acceptable for Switzerland, and managed to overcome the mistrust of their colleagues who had previously made negative experiences in dealing with the Ukrainian General Prosecutor’s Office. After that, Martynenko’s lawyers pushed for an eight month ban on the communication of information on Martynenko’s Swiss bank accounts. The judge dismissed this request, however. “This investigation would have been impossible if we had not received information from our foreign colleagues in Switzerland, and also in Austria, the Czech Republic and other EU member states. 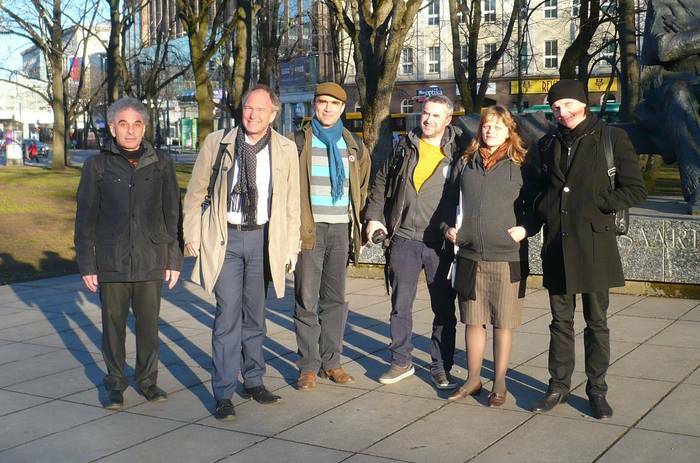 We were assisted by the EU Advisory Mission in Ukraine. They even used the Eurojust mechanism prior to the ratification of its agreement with Ukraine. Such practice is only possible in countries at war”, Mr. Kravets explained. In response to a question of whether there are open cases against oligarchs participating in corruption schemes, Vitaly Kravets said, “Firtash, Pinchuk and Akhmetov are under investigations conducted by the SAP and the National Anti-Corruption Bureau of Ukraine. Admittedly, we do not suspect anyone in particular yet, but work is underway, and we are on the right track. If the past twenty years have led to this situation, we must speed up reform. The price our country is paying for the conflict in the East should not be wasted”. “We certainly use a range of agreements and protocols that exist between different judiciary institutions, in particular, the Eurojust, and this applies to East Europe as well”, Luigi de Ficchy said at the round table. However, at times it is difficult to obtain a prompt response concerning organized crime even from West European countries. “This was my experience, for instance, with Malta. We spent months corresponding with them, but never received the necessary answers. We also had problems with France when we sent them letters rogatory concerning our complex investigations”, Luigi de Ficchy said at the roundtable. In his book3Bertossa, Bernard. La justice, les affaires, la corruption: Conversations avec Agathe Duparc. 2009., Bernard Bertossa explains that sometimes letters rogatory are issued in a form that contradicts some provision of this country’s legislation. In this case, the prosecutor may simply telephone their foreign colleague and inform them of this divergence. However, this telephone call will be ‘an act of goodwill and the prosecutor’s lack of laziness”. Luigi de Ficchy confirmed that such direct telephone calls between prosecutors in different countries are possible: “For example, I can call my colleague in France to exchange information and get support in the course of investigation. We can resolve 90 per cent of all questions even without involving the Ministry of Justice. This is certainly progress”. For Ukraine, this is still unthinkable. “Ukrainian prosecutors do not call their European colleagues on the telephone, this just does not happen”, Vitaly Kravets observed. In 2010, the Russian General Prosecutor’s Office sent to Spain an international letter rogatory requesting to interrogate Gennady Petrov, a Russian national detained on the case of racketeering on the part of Vladimir Kumarin (the most well-known kingpin in St. Petersburg and leader of the Tambov organized crime group, currently in custody). In the same year, the Russian Prosecutor’s Office sent to Spain information briefs on the activities of the Tambov organized crime group and the role of the Russian-born suspects in this group to assist the investigation a criminal case dubbed as Troyka. However, in the years that followed the Russian Prosecutor’s Office changed its attitude. By 2017, instead of investigating acts of corruption, the Office had taken on the role of the attorney representing the suspects: instead of answering concrete questions of the Spanish Prosecutor’s Office, the Russian General Prosecutor’s office sent to Spain a note confirming the Russian law enforcement institutions had no claims against Iliya Traber, as Jose Grinda said at the round table. Luigi de Ficchy considers it necessary to create a Pan-European Prosecutor’s Office. This idea has been under discussion in the EU since 2009. In 2017, 16 EU members states announced their willingness to support to this idea. At present, anti-corruption prosecutors from different countries are cooperating on the basis of the following documents: the OECD Convention on Combating Bribery of Foreign Public Officials in International Business (1997), the UN Convention against Transnational Organized Crime (Palermo, 2000) and the UN Convention against Corruption (2003). “The inaction of the Russian authorities with regard to Aulov and Sobolevsky may lead to the initiation of criminal cases against them within the current proceeding, as provided by the UN Convention against Corruption as of October 21, 2003, and the UN Convention against Transnational Organized Crime as of November 15, 2000”. “We also send information to the General Prosecutor’s Office of Ukraine. We are in a broad exchange with Italy, both with the National Antimafia Commission and its regional units”, Grinda reported. When asked whether it is advisable to exchange information with countries with which there is a problem of trust, like Russia and some others, Grinda said no: “Neither the Palermo Convention, nor the UN Convention against Corruption oblige countries to spontaneously exchange information, as these conventions impose no sanctions for failure to do so. I certainly can explain to my boss why it is better to refrain from sharing information in a certain case, as it is likely to be handed over to the persons figuring in it. If the state agency as a whole does not inspire trust, we need to find a good private interlocutor to talk to”. At present, countries bear no responsibility for failing to respond to international letters rogatory. “The crucial point promoting the investigation of transnational crime is the decision to impose a liability for failure to appropriately respond to international letters rogatory. When we speak of the absence of liability we mainly mean the regulatory documents adopted by INTERPOL, which basically regulate the procedure of filing and responding to such requests. However, there are numerous other choice-of-law rules, such as the relevant UN Conventions. There are international legal acts against corruption that Russia has ratified. Based on the provisions of these ratified UN Conventions, a question arises as to whether it is possible to raise the question of negligence to one’s duties. For this the Criminal Code does impose certain sanctions. If academics state that there are no working leverages to push the Prosecutor’s Office to respond to international letters rogatory, we could develop recommendations or draft an appropriate draft law to be adopted by the EU Security Council. This could be a real step forward in combating international crime”, said Andrey Zykov, former Senior Investigator for High Profile Cases of the Investigative Committee of the Russian Ministry of Internal Affairs in Saint Petersburg. “At present, there are no legal sanctions for failure to respond to a letter rogatory in the framework of international legal cooperation. For such sanctions to be introduced, we need a new binding international agreement”, Swiss prosecutor Bernard Bertossa said in a conversation with the author of this article. “However, in this case it must be signed by all parties to the agreement, but it is obvious that Russia, for one, will not sign it.” In other words, there is still no solution for this problem. Mr. Grinda explained that in absolute terms, the Russian Prosecutor’s Office interacts with its Spanish counterpart even more than the prosecutor’s offices of Switzerland, Germany, the UK and other European countries. 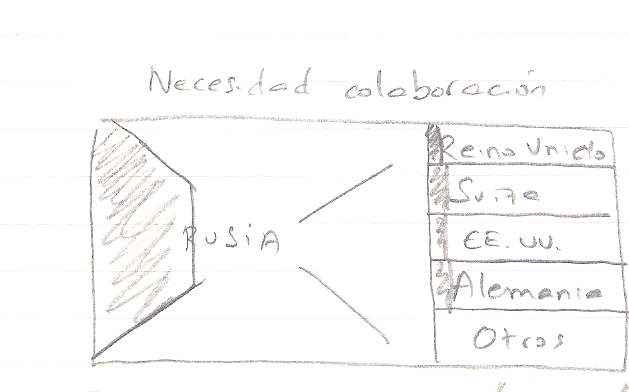 However, Spain requires more legal assistance from Russia than from all those countries taken together (refer to the figure “Need of Collaboration” below). Prosecutor Grinda drew this to illustrate the legal assistance provided to Spain by Russia (left) and by other countries: the amount of queries (white) and responses (black). On the right from top to bottom: the UK, Switzerland, the US, Germany, other countries. On the whole, this is a systemic problem; countries like the UK and Switzerland also often fail to provide Spain with the required legal assistance. According to Mr. Grinda, there is a group of countries that systematically refuse to collaborate. This group includes Israel, the UK and Cyprus. He is not alone in this opinion. In his book, Bernard Bertossa points out that “the law enforcement and judiciary systems of the UK are incompatible with effective prosecution of financial crimes”, and that British investigative units have significantly less power than their counterparts from continental Europe. This situation was supposed to be alleviated in 1987, when the British Government established the Serious Fraud Office, with the power to investigate high profile corruption and fraud cases. However, even this agency never responded to the petition of Russian activists concerning the money of Russian officials concealed in the UK (Russian). As for Cyprus, Bernard Bertossa believes that “Cyprus persists in refusing international legal collaboration in any form”, although Russian criminal kingpins maintain bank accounts in this country. On the whole, in his opinion, if one wants to see which country actually combats money laundering and which is involved in this combat in a pro forma manner, they need to visit the country’s General Prosecutor’s office and see how many foreign letters rogatory he or she has responded to. Jose Grinda also told the story of the Spanish request to extradite the Ukrainian businessman Dmitry Firtash from Austria on charges of acts of corruption committed in Spain. In particular, the Spanish Prosecutor’s Office against Corruption believes that Firtash’s companies have been laundering money in Spain via front companies. One of Firtash’s representatives, according to Mr. Grinda, bribed the Director of the Kiev Airport by drawing up a purchase contract for a villa in the latter’s name, while the Spanish investigation suspected that no money actually changed hands. After the round table in Sofia it transpired that the Austrian Minister of Justice had finalized her refusal to extradite Firtash to Spain. According to the Austrian press, the Austrian judiciary had considered the Spanish request to be ‘insufficiently detailed’ (German). However, the Spanish Prosecutor’s Office has yet to be informed as to what would comprise a ‘sufficiently detailed’ request. In his book, Bernard Bertossa offers several examples of arbitrary refusals on grounds of ‘insufficiently detailed’ queries. Firtash himself considers his case to be ‘politically motivated’. “As for the collaboration with NGOs, the Italian judiciary works with Libera, a network of anti-mafia organizations”, Mr. de Ficchy said. “They are involved in the fieldwork and monitor the property confiscated from mafia members. I think that public pressure groups in other countries could get in contact with it; the idea of a pan-European network of organizations assisting the law enforcement units is in the air”. Besides, he reminded his audience that the Italian Anti-Mafia Investigation Directorate has signed numerous memorandums of understanding with prosecutor’s offices in countries particularly affected by organized crime. According to Mr. de Ficchy, the execution of these memorandums on cooperation and exchange of information depends on the public pressure groups in those countries. “For instance, Russian members of the public should push their General Prosecutor’s Office to inform them on the course of investigations, including the exchange of information with their foreign colleagues, which is now insufficient”, Luigi de Ficchy said. According to prosecutor Jose Grinda, Russian activists can reach out to prosecutors via any means available: by e-mail or at a meeting with a prosecutor, where they can submit a written report of an act of corruption, which they consider to be sufficient for initiating an inquiry. At the same time, they should not be surprised if the law enforcement authority does not respond: the law prohibits them to inform the petitioner of the beginning of the inquiry to avoid a conflict of interest. It is possible to submit a complaint anonymously, but such inquiries will be executed with redoubled vigilance. At the round table the prosecutors explained that journalists do not have to make special efforts to push for the opening of an inquiry. “Good published journalistic investigations often lead to the initiation of actual criminal cases”, Luigi de Ficchy and Vitaly Kravets agreed. Mr. Kravets gave an example of an article published by journalist Sergey Leshchenko, which led to the opening of a criminal case against the aforementioned ex-Deputy of the Verkhovna Rada of Ukraine Nikolai Martynenko. In this case, they were able to obtain responses from the Czech and Swiss prosecutor’s offices. According to the Ukrainian prosecutor, the participation of journalists is especially important at the early stages of inquiries into corruption cases, as “independent investigators, who are not bound by bureaucratic delays, have a better starting position and speed”. Journalists were the first in Ukraine to publish information on the investigation conducted in Switzerland. The article in the Ukrainskaya Pravda (Russian) played a crucial role in initiating the criminal case”, Kravets said. third, it is necessary to highlight the remaining bad practices in countries that decline to adhere to the adopted legislation related to fighting corruption. The law must provide an accurate and applicable description of corpus delicti in cases of money laundering; they should no longer be considered as ‘virtual’ crimes, as is customary in some countries. For instance, according to Mr. Grinda, the Swiss Criminal Code includes an article on money laundering, but in fact, no cases are ever opened under this article. The law must clearly stipulate that illicit enrichment is punishable by law. All the prosecutors present agreed with this proposal. Mr. Grinda believes that this provision should not apply only to officials. If, for example, the owner of a luxury villa cannot not prove that the funds to purchase it were obtained legally, this should be sufficient to open a criminal case. At that, the investigation should not be obliged to point out a ‘concrete crime’ that yielded the dirty money, as attorneys insist at present, referring to the ‘presumption of innocence’. The law must contain clear rules of lifting banking confidentiality (which applies in particular to some countries that cherish their banking secrecy and do not involve themselves in anticorruption investigations). Working with witnesses. The harmonization of differing practices of working with witnesses (re-examination, protected and anonymous witnesses). Expert reports of special services should be accepted in court as evidence of the existence of organized crime groups. Luigi de Ficchy pointed out the importance of the latter point. Prosecutors have a problem proving the existence of organized crime groups never acknowledged by the signing of contracts or other documents. Prosecutor de Ficchy explained that in money laundering investigations in Italy the court does not insist on the proof of a concrete crime that led to illicit enrichment, as this would be impossible. However, the Italian Court of Cassation ruled on December 19, 2003, that prosecutors should provide at least a general description of the alleged predicate offences. In this regard, the problem of collaboration with prosecutors in countries where the crimes were committed still remains unresolved. In Spain the situation is similar. After Zakhar Kalashov was convicted in Spain for membership in a criminal organization (2010), this became a precedent enabling prosecutors to leave out the necessity to prove the concrete offences that the accused committed abroad, but they still have to prove the existence of the criminal group. In 2009, Mr. Grinda visited Georgia. The Georgian Prosecutor General promised to send three police officers to stand as witnesses at Zakhar Kalashov’s trial in Spain. However, this promise was not kept, as the witnesses refused to go on the grounds of the threats they had received. In the end, only Spanish experts spoke at the trial. The judge ruled that the accused was guilty. 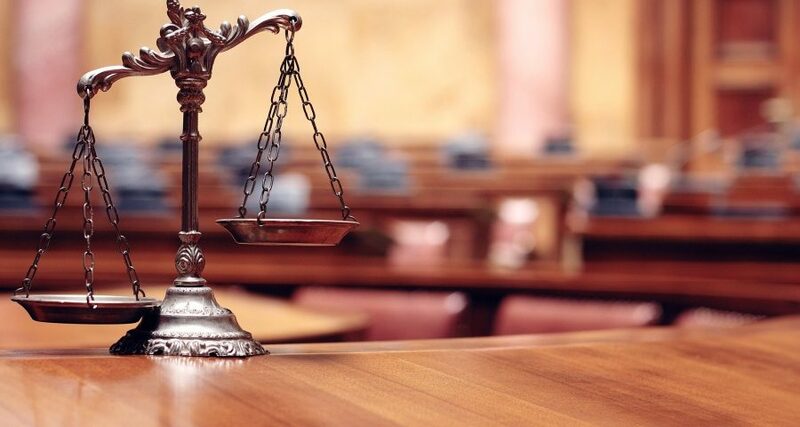 A similar situation took place at the recent (February to April of 2018) trial against the Tambov organized crime group in Spain. The court has yet to issue a sentence. One of systemic problems in combating Russia-related transborder corruption is the jurisdiction of the non-EU member microstates specializing in financial services. In a conversation with the author, prosecutor Bernard Bertossa referred to the Principality of Lichtenstein as a “hooligan state”. Jose Grinda’s recent investigation on the Tambov organized crime group discovered that a Lichtenstein trust was at the top of a money laundering scheme. This country is reputed to decline legal assistance. However, there are a few cases demonstrating the opposite. For instance, Germany had to close the case of alleged money laundering at SPAG GmbH by nationals of four countries including Russians (2003-2009). The case was never brought to court and was closed due to the lapse of time. However, Lichtenstein, in whose territory most crime events had taken place, invited a special prosecutor from Austria, who had to refer to journalists to obtain the case report of the German special services, as the German authorities had refused to provide it. In the end, there was a conviction, albeit not a very heavy one, in Lichtenstein but not in Germany. The Principality of Monaco investigated the activities of a company that was allegedly laundering criminal funds from Russia. As is clear from a police report leaked to the press, it took for Italy almost two years to respond to Monaco’s request for legal assistance, and Russia did not respond at all. At the same time, Monaco was the first country to ban entrance to the chief suspect, on the ground of information received from its special services. This suspect had avoided the initiation of criminal cases against him in Switzerland and in France, despite being closely surveilled by the law enforcement units, and in the end he was declared wanted by the Spanish Special Prosecutor’s Office against Corruption under the above mentioned case of the Troika. Unfortunately, the ideas and proposals of prosecutors and civil activists expressed in the Paris Declaration fifteen years ago have not been fulfilled. 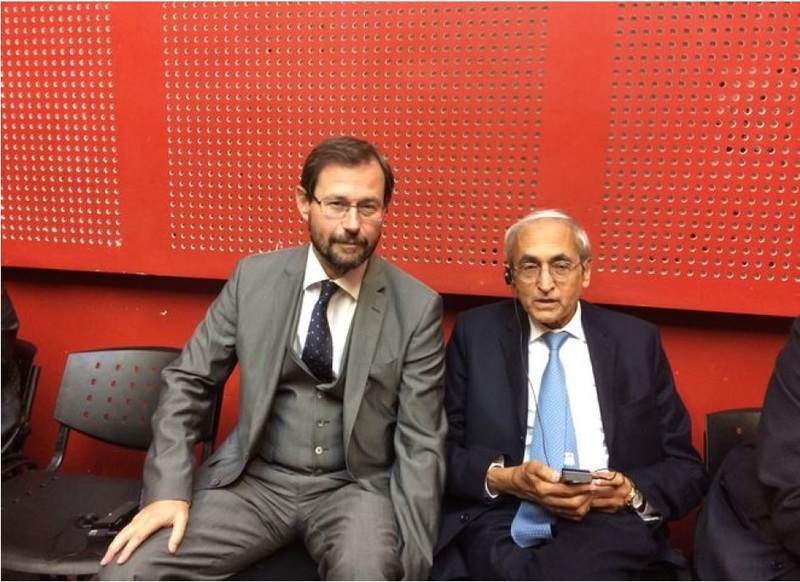 “You can create your own “Sofia Declaration”, ex-prosecutor of Geneva Bernard Bertossa said. Clearly, in Europe, Ukraine, Russia and even in microstates lately concerned with their reputation, all that remains is continue to appeal to the principles of rule of law. However, those principles should not be used to ensure the impunity of corrupt officials and members of criminal groups. 1. ↑ “Failed in Action: why European Law Enforcers are Unable to Tackle EU-Russian Transborder Corruption” P. 36. 2. ↑ Interview in Geneva, 09.29.2017. 3. ↑ Bertossa, Bernard. La justice, les affaires, la corruption: Conversations avec Agathe Duparc. 2009.